Interviews with independent artists fom all over the world! God doesn't demand that we are perfect. He made us and knows that we are only human and make mistakes. Our assignment is to get up every morning and to do our best with what He has entrusted to us. And when we make mistakes, we can ask God for forgiveness, come clean with Him and go on! Maybe you think that God can't use you because you are not perfect. But that's a lie! 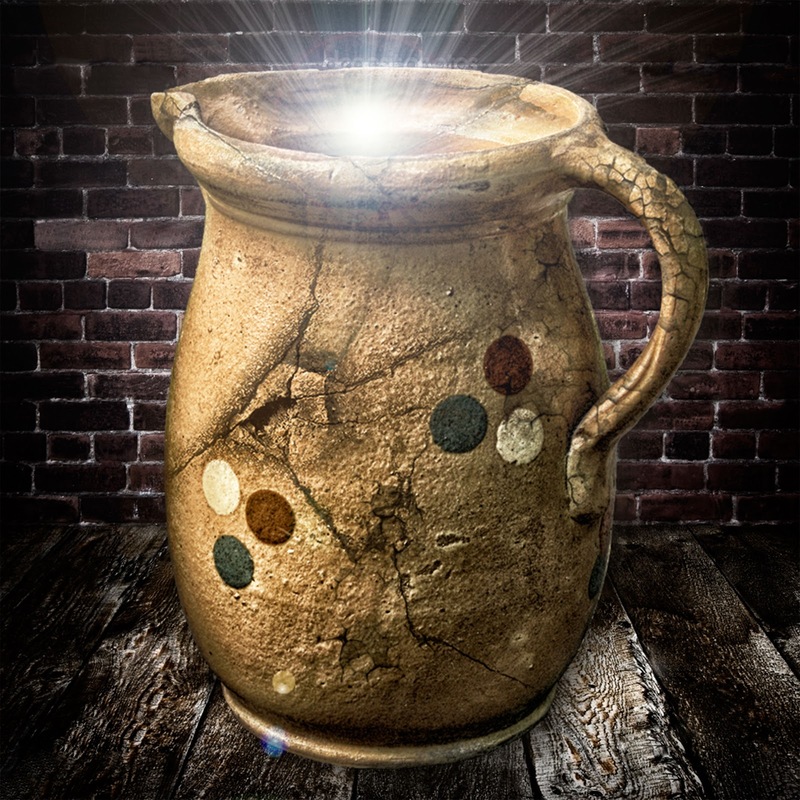 God (the potter) also used cracked vessels (us) to do His work. We are vessels that God will fill with His goodness and His light. Then we commissioned to carry his kindness and light out in a dark world and share it with everyone we meet. Do not be afraid of your mistakes! Admit them and still let yourself be used by God. Stop to worry about what you are not, and give God what you are. Even as a battered vessel you can reach wonderful. You can make someone happy. You can encourage people around you. Bolster somebody up or admonish your friend of a danger. You can use your gifts and talents to serve God. If you feel like a battered vessel remember God is the potter and He can use you in spite of your mistakes for His purposes. Let your creator, your potter fill you with His goodness, light and unconditional love! Lords word is so simple we tend to over look and sometimes feel so hard to understand. but here Jonathan made this clear that no word of God is hard to understand, its all clear and in simple words..
God's son came in human form (Jesus) to repair cracked pots and use them. 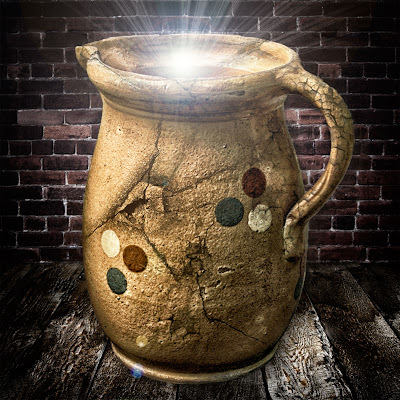 we can pick many examples from bible to see how He used cracked pots for His purpose and plan. just now i will pick one, which is the disciples. Jesus didn't came and picked leaders from synagogue or any temples or any religious school. but he picked cracked pots who were blank and in different kinds of situations. even Paul who was anti and against Jesus, He worked hard in places like Rome. God made pots and saw it broke here, so He sent His son to repair them and use them. and we all know how many wonders these disciples has done. Well, Jonathan....it seems that if we have a lot of flaws then more of the light of God will come shining through us! For sure this will happen as Jesus works in our life to help us and transform us and fill us with light...then His light does come shining through more and more! Thank for this reminder...that God can use even someone like me who has sustained many cracks. Somehow God knows how to work with us and only His hand can heal a broken vessel and make it useful again. Praise be to God! What is the Tree of Knowledge of Good and Evil? The Bible is no ordinary book. The words on its pages are like medicine for your soul. It has the power to change your life, because God's Word is Alive! If you discover the power and truth of God's Word, you will discern change in your life, which can only result from this truth.